Our specialized knowledge, advanced mobile shipment tracking, and predictable LTL performance makes inland transportation moves in the Northeast simple and seamless for international shippers. 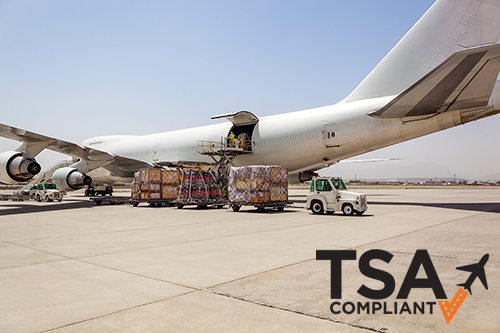 Whether your products are coming or going, our dedicated International Customer Service team ensures that your shipments are handled properly between major air and ocean ports and points in the Northeast. Next-day service to and from air and ocean consolidators. Pyle Priority Service on critical moves. Dedicated Customer Service Team for all your needs; including pick-ups, shipping requirements, and 3rd party billing. On-time pick-ups and deliveries at container freight stations and airports. Automatic email notifications for pick-ups, delivery and 2-hour advance delivery notice. Information is critical for international shippers. A. Duie Pyle’s system-wide implementation of mobile tracking and inbound routing creates a delivery process for our customers where information moves ahead of the freight – to save you time. This not only gives our customers enhanced security with up-to-the-minute visibility of their products, but ensures that your documentation is in order right from the start. Our secure web portal, My Pyle, also provides inland BOLs, invoices, reports, and customized automatic email notifications of pick-ups and deliveries, among other critical information that international shippers need. For more information about our Import/Export Services, please contact Customer Service at 800−523−5020 x28281 and ask to speak to one of our International Customer Service representatives.